But a trail is only as valuable as the extent to which it is used. For this reason a large part of HHC’s mission, time, and resources are dedicated to providing hikers and trail runners information and events to assist in their use of trails. As trail builders and very experienced trail users, we are happy to provide you information on terrain, difficulty, parking areas, camp sites, maps, GPS points, water access, and any other important aspects. 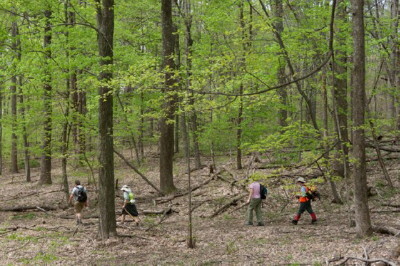 Click on a link to the left to learn more information about the listed trails. There is also a link to posts about known reroutes and other trail issues. If you cannot find the information you need, feel free to email or call one of our volunteers toll-free at 1-855-812-HIKE. 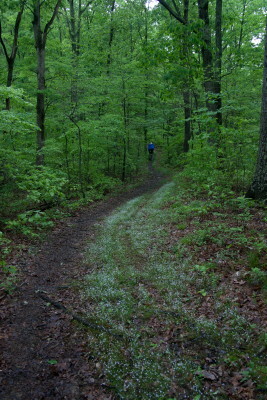 If you’d like to get involved and help build or maintain trails such as these, check out our Trail Work page! For a more exhaustive list of trails in Indiana, take a look at the Bicentennial Trails List, compiled in 2016 for the HHC-sponsored event to challenge hikers to achieve 200 miles on Indiana trails. For an even more comprehensive list of trails in Indiana, visit the Indiana Department of Natural Resources Division of Outdoor Recreation Trails Inventory web page at: http://www.in.gov/dnr/outdoor/4240.htm. There you will be able to search for Indiana trails by type and location.